We have relationships with a variety of industry partners that offer co-ops and internships to our students. These work experiences prepare our students to become engineers and, in turn, acquaint our industry partners with potential candidates for future hires. Our partners dedicate their time and expertise to provide the knowledge and experience students need to succeed in future careers. Our study abroad program enables students to have a global experience without interrupting their plan of study. The rigor of the engineering coursework required in the program enables students from both sides to benefit from the cultural exchange and still graduate on time. We offer semester-long study abroad programs at top engineering universities in Denmark, Ireland, and Switzerland, and shorter opportunities in Ireland and China. More programs are in the works. 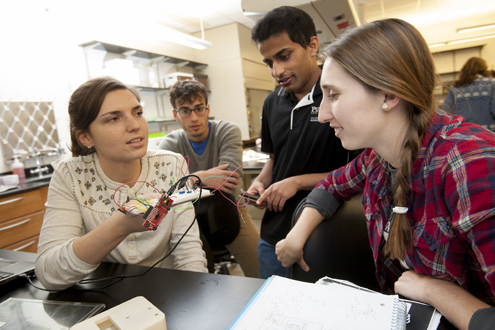 The senior design experience prepares students for the real world in which people of diverse backgrounds and expertise join forces to find solutions to biomedical problems. Seniors work in teams that comprise industry partners, clinicians, faculty members, and their peers—who may be studying a different engineering discipline. Undergraduates engage in over 2,000 research projects each year at Purdue. 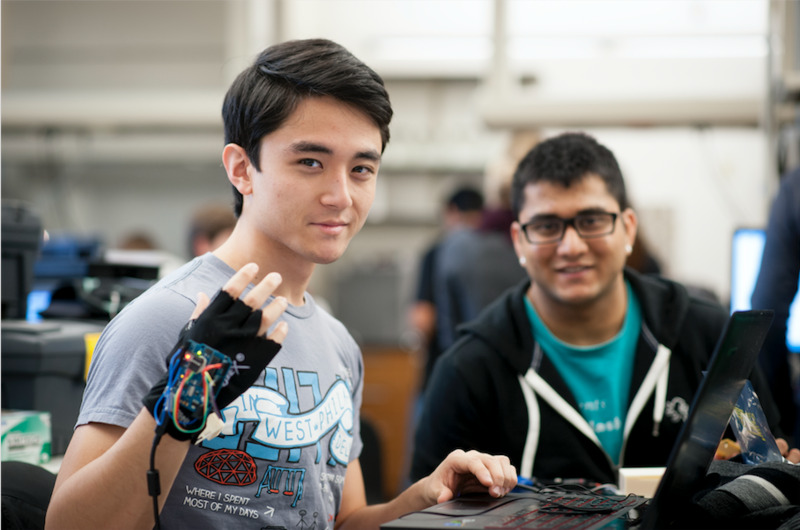 Weldon School students work with faculty members in areas such as neuroengineering, biophotonics and medical imaging, orthopaedic biomechanics, engineered biomaterials and tissue systems, and systems science and engineering. The vibe at the Weldon School is friendly and supportive. The Biomedical Engineering Society, Alpha Eta Mu Beta, and Weldon School Ambassadors offer many professional development, networking, mentorship, outreach, and social activities.